Tickets are still available for the BWYP's 3rd Annual Ugly Sweater Party! When: Thursday, Dec. 8 at 5:30 p.m.
Appetizers will be provided. This year we will be awarding prizes for the best homemade Sweater and the overall ugliest sweater. The uglier, the better! Since the BWYP is all about making the Blue Water Area a place to stay, play, shop and give back, we're requesting warm winter gear to be donated (socks, gloves, hats, scarfs) It can be new or gently used. YP friends and family are always welcome. Tickets can be bought online here. Tis the season to say golly (over all the ugly sweaters)!!! 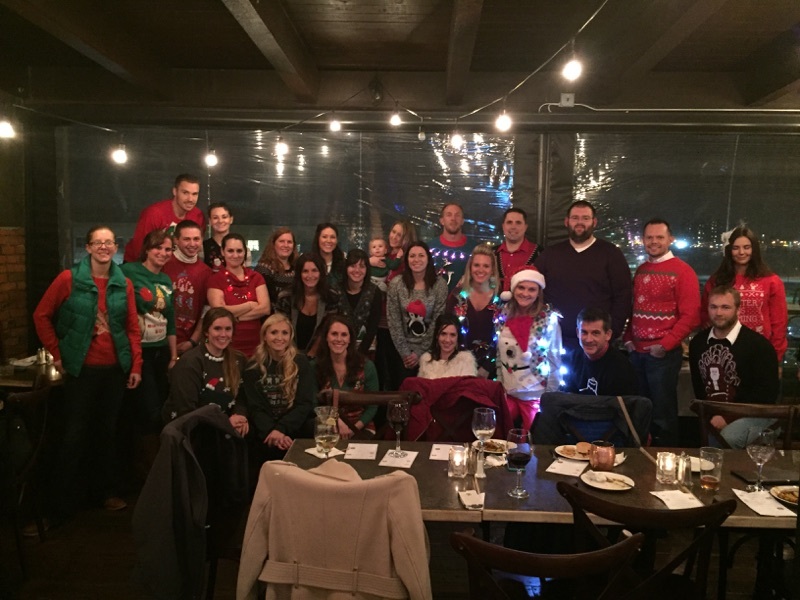 Celebrate the season in ugly sweater style at the Blue Water Young Professionals holiday party Thursday, Dec. 10 from 5:30-8:30 p.m. at the Vintage Tavern (2nd Floor) in downtown Port Huron. You don't have to be a BWYP to join in the festivities. Friends, spouses or anyone interested in the group is welcome! Please bring a pack or pair of new socks to donate to local people in need. All socks collected will benefit the women and children at Blue Water Safe Horizons, the area's domestic abuse shelter. Prize for the ugliest sweater! Cost of $16 includes a variety of appetizers. Cash bar. RSVPs by Nov. 30 are strongly encouraged.